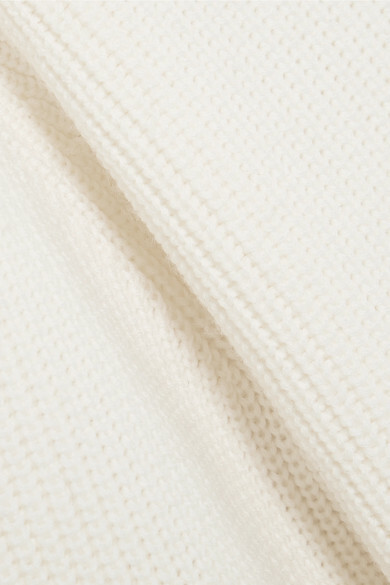 Mother of Pearl's ivory sweater will keep you so warm and cozy when the temperature drops. 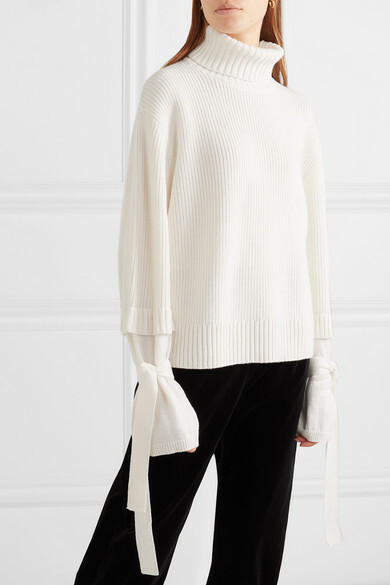 Knitted from a chunky wool-blend, this turtleneck style has layered sleeves that tie at the cuffs - they look especially elegant fastened into bows. 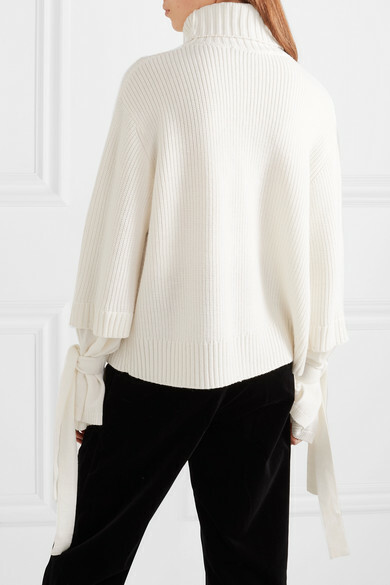 Dress yours down with denim, or wear it half-tucked into tailored pants. 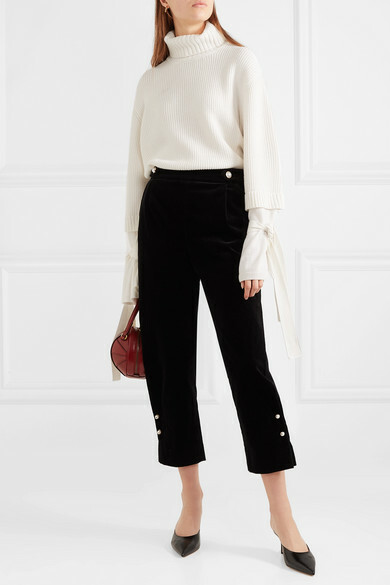 Shown here with: Mother of Pearl Pants, Gucci Shoulder Bag, Jimmy Choo Pumps, Sophie Buhai Earrings.